McKinney, Texas – McKinney ISD has chosen Michelle McHugh to be the new assistant principal of Walker Elementary. Currently an instructional coach at Wilmeth Elementary, McHugh brings nine years of experience in education to her new role. She began her career in 2010 as an elementary teacher in Kentucky but made her way to Texas in 2012 to teach at Rockbrook Elementary in Lewisville ISD. Five years later, she joined MISD to serve as an instructional coach supporting Bennett Elementary, Eddins Elementary, Wolford Elementary and Wilmeth Elementary. 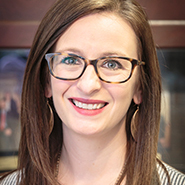 For 2018–2019, she has focused solely on Wilmeth, but at the end of May, she will transition to Walker in her new role as assistant principal. “Michelle’s teaching experience and extensive work leading the Wilmeth staff as an instructional coach will be a great asset to our Walker team,” said Walker Principal Melanie Raleeh. McHugh has served as an MISD instructional coach mentor and as a member of the district elementary social studies design team. At Wilmeth, she led the campus lesson design team and played a key role in helping Wilmeth attain Marzano High Reliability Schools Level 2 certification, which focuses on ensuring effective instruction in every classroom. McHugh earned her bachelor’s degree in elementary education from the University of Kentucky and her master’s degree in reading education from Texas Woman’s University.